CHICAGO — Cook County's increasingly bad reputation for attracting lawsuits from across the nation has contributed significantly to helping the state rank again among the worst legal climates in the nation in a recent national survey. Illinois' legal climate ranked 48th among U.S. states, according to the report from the U.S. Chamber Institute for Legal Reform, titled "2017 Lawsuit Climate Survey: Ranking the States." The Institute for Legal Reform owns this publication. The report is based on a survey conducted by Harris Poll, asking senior business executives about their experiences with state lawsuit environments. The report was released Sept. 12. "Here in Cook County, the real issue is how quickly Cook County has developed its terrible reputation for unfair courts," Todd Maisch, president and CEO of the Illinois Chamber of Commerce, said in a video produced by Faces of Lawsuit Abuse, a project of the Institute for Legal Reform. "Ten years ago, nobody talked about Cook County. Very, very quickly, Cook County has established itself with a bad reputation across the nation for unfair litigation." Cook County isn't along in that dubious distinction, Maisch said. "The other county, Madison County, has been notorious for decades as essentially the most litigious county in the state and the centerpiece for asbestos litigation, not just for Illinois but the entire nation," he said. Illinois ranked lower than 47th-placed California and ahead of Missouri and Louisiana, which ranked 49th and 50th respectively, according to the survey. Illinois' most recent ranking marks the second time since 2015 that it was ranked as the nation's third-worst state for legal climate in the annual survey, which was first released in 2002. Illinois has ranked in the bottom five states in the survey for the past decade. Illinois' Republican Gov. Bruce Rauner has pushed for tort reform, which seeks to rehabilitate Illinois' poor legal climate. That effort has been largely opposed and blocked by the state's General Assembly, especially in the House of Representatives, which is led by the longtime House Speaker Michael Madigan (D-Chicago). "Illinois is no stranger to crisis," Faces of Lawsuit Abuse said in the video. "The land of Lincoln recently went 736 days - that's more than two years - without a state budget. But the state's legal system is also in crisis." Survey participants included 1,203 in-house general counsel, senior litigators or attorneys, and other senior executives at companies with annual revenues of at least $100 million who said they knew about litigation matters, according to the survey. Participants were reached through more than 1,300 telephone and online interviews between March 31 and June 26, according to an institute statement. Participants were asked for rankings about topics, including fairness of a given state's lawsuit environments in 10 categories that included state laws, courts, judges and juries. The Institute also issued the 2017 edition of its "101 Ways to Improve State Legal Systems," a listing of key legal reforms that states can adopt to improve lawsuit climate. 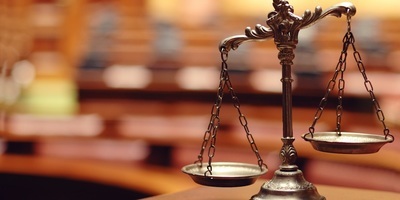 The Illinois Trial Lawyers Association responded within hours to the survey, calling the report "disingenuous," as it surveyed "corporate attorneys who, by the pollster’s own admission, know little about state courts." "The Chamber’s efforts to sow confusion and demonize our justice system on behalf of its wealthy benefactors, who hope to maximize profits and shift the responsibility of caring for those sickened or injured by their own reckless conduct onto taxpayers, insult the intelligence of citizens who can and should make up their own minds about whether to seek justice in the courts that their tax dollars fund," ITLA said in a prepared statement. "To deny them the opportunity is, frankly, un-American."